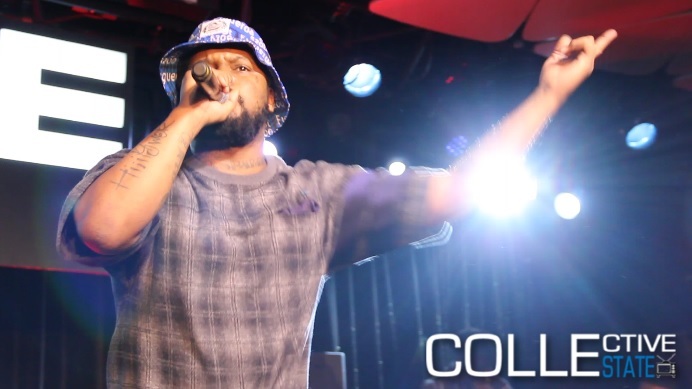 ScHoolboy Q’s new LP, Oxymoron, is only a few days away from finally hitting shelves after suffering a few push backs in 2013. In celebration of the rising West Coast artist’s major label debut, take a look at some exclusive footage courtesy of Collective State TV of the rapper’s recent performance of his new single, “Man Of The Year,” on the season finale of AXS TV’s SKEE Live. Filmed and edited by @ItsLuRocK for ItsTheDaily.com and Collective State TV. This entry was posted in Music, Video and tagged axs tv, collective state tv, concert, conga room, Dj Skee, hip hop, Its The Daily, live performance, Los Angeles, LuRocK, oxymoron, rap, Schoolboy Q, TDE. Bookmark the permalink.